So in other news over Christmas I finished filling out the whole second book of swatches and we are on the home stretch in terms of boring old knit and purl patterns we have less than 10 left! :O Next up will be slipped stitches but we'll get there when we get there. I've watched a lot of new TV over the past two weeks too, I've been getting racked off at the shows that obviously got cut before they properly ended. I was watching something called plebs, now I don't know if it was cut or if they're still producing new seasons still but I hate having a show where you only get three seasons which is just enough to get into it, and then it's over. 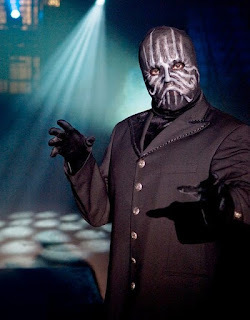 I've also been watching something called "breaking the magicians code" it's so beautifully/painfully 90's, but it's weirdly compelling to see how even the really obvious magic tricks are done, and the masked magicians mask is pretty spooky. 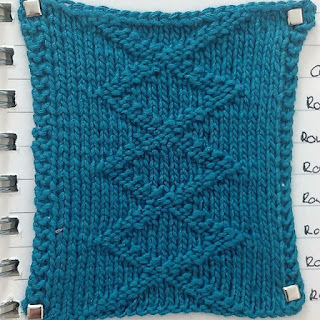 Today's pattern is the Inverness diamond, named for the beautiful fishermen's jumpers made there, this pattern often was included in panels. The tradition of fishermen's sweaters is a long one and honestly I think at some point every knitter should attempt one, they firstly introduce you to cables, which I personally think most knitters who haven't done them are unnecessarily afraid of, but this pattern is a nice "cheat" given it resembles cables strongly but it's really just a trick done with just knit and purl stitches, the effect of welts makes it appear embossed but really it's flush to the fabric. 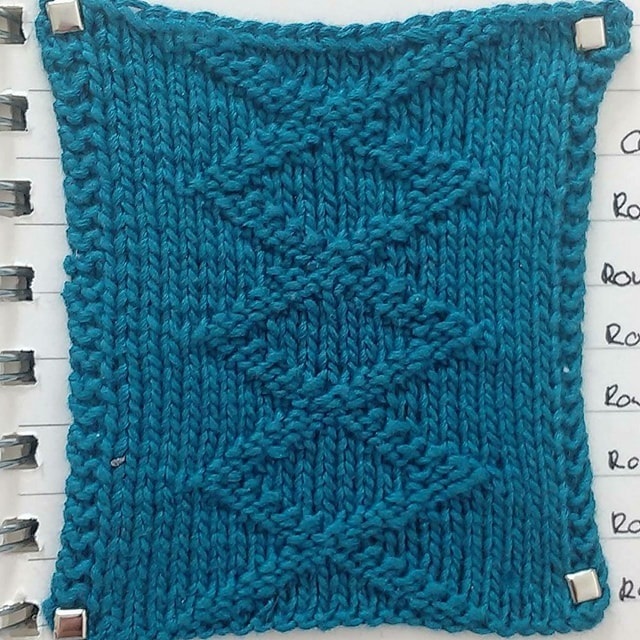 Given this pattern is a panel so I did it without without repeats unlike previous stitch patterns, you can do repeats if you like however. Right anpther one finished I think I'll go make myself a cuppa and then get back at it, I might also take a knitting break too so we'll see if I write any more because I'm running out of rubbish to say at the start of the post and that's the most fun part to write! good luck and Happy Knitting! We watched Breaking the Magicians Code first time round.